It's 23:47 in Narva, Estonia right now. Narva: Hermann Castle and Ivangorod Fortress, 0 miles away. Narva-Jõesuu: Beach Panorama, 7.7 miles away. Kingisepp: Kingisepp Cathedral, 14.7 miles away. Jõgeva: City View, 76.9 miles away. Saint Petersburg: City View, 83.7 miles away. Saint Petersburg: Church of the Savior on Blood, 83.7 miles away. Tartu: Tartu Town Hall Square, 86.9 miles away. 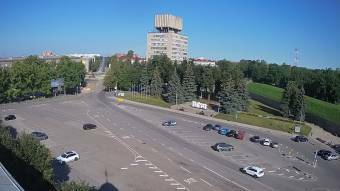 Otepää: Webcam and Weather, 109.2 miles away.